Black pencil standing out from crowd of plenty identical black fellows. business success concept. 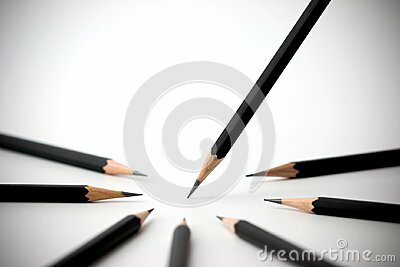 Black pencil standing out from crowd of plenty identical black fellows on white table. Leadership, uniqueness, independence, initiative, strategy, dissent, think different, business success concept.